What is Kaladesh Game Day? See how you match up against your local community, earn prizes, and become a champion in this unique day of competition taking place all around the world! Magic Game Day is an exciting opportunity for players around the world to join in playing Standard in their local communities with the newest cards Magic has to offer on a global scale. Magic Game Day events are one-day tournaments using the Standard format. These tournaments are held at local game and hobby stores three weeks after a new set becomes available for purchase. 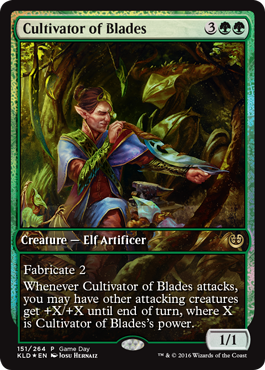 Game Day events provide a great way for players to see how the newest set has impacted the shape of Standard. 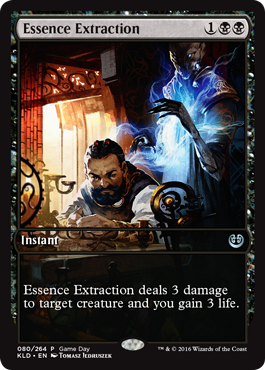 Each participant in the Magic Game Day tournament receives a full-art promo card, and each player in the Top 8 receives a premium full-art promo card, while supplies last. 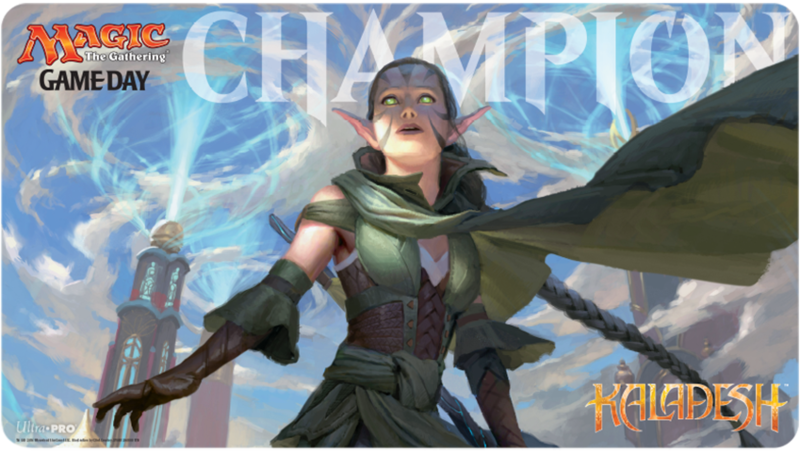 The winner of each Game Day tournament receives a special Champion playmat to commemorate their victory. This limited-edition playmat is only awarded to the winner, so be sure to bring your A-game! Registration begins at 11AM and the 1st round will begin at 12PM. The cost to enter is $10.